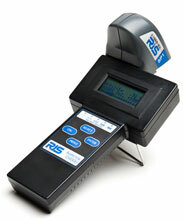 RJS D4000SP - Inspector D4000SP, Inspector D4000 SP (Laser) - Worldwide. Ideal for customers who want a one piece point and shoot verifier and accept PARTIAL ISO/ANSI barcode quality testing worldwide. This easy-to-use unit is a true single unit solution, offering one-handed operation and support of all popular linear symbologies. The RJS Inspector D4000SP also offers store and print capability, multiple scan averaging, and sub-symbology choices - all easily accessible through a simple four-button user interface. We had six old designed units with seperate handheld and based. The handheld were easily to damage that cost us to purchase the entire unit for replacing. With this new design scanner, all in one unit, is very to carry. Battery 220V. Compatible with D4000, I-4000, or L-1000 barcode verifiers. Can be used with or without NiCad batteries. Auto Optic (3,5,10,20 mil) w/Plaque. NOT entire bar code verifier. Replacement part or add-on only which REQUIRES customer already has (Part# 002-7850) or (Part# 002-7851) or (Part# 002-7845). Auto Optic (3,6,10,20 mil) with Plaque. NOT entire barcode verifier. Replacement part or add-on only which REQUIRES customer already has (Part# 002-7850) or (Part# 002-7851) or (Part# 002-7845). Printer (with cable & paper, 220V). For customers requiring printed reports for the barcodes inspected. Direct thermal inspection report printer with 4 inch wide paper. The RJS 002-7845 is also known as 002-7845	or 0027845	.